Let's start off with why I severely dislike Zhu Zhu pets. Seriously, I knew this was coming and I did nothing to stop it, so it' my fault. Here, I'll show you in pictures. Husband and I last night made a true southern meal of fried potatoes, cornbread (homemade in cast iron skillet) and Fried Green Tomatoes fresh from our garden. Yes, it was a meatless meal, but sometimes those are fabulous! Canola Oil, enough to touch 1/2 the side of the slice of tomatoes. You need lots of oil for this southern dish! Step 1: Slice your tomatoes, 1/2 think or so. Step 2: Dip the tomatoes in buttermilk and then cornbread. Place in frying pan that is filled with canola oil and season with pepper. Fry the tomatoes slowly over medium heat until golden brown, then flip. Cook until the tomatoes are tender. It took about 15 minutes total for us. NOTE: Do not cook too fast on too high of heat or you will have hard tomatoes with burnt breading!!! Enjoy your tangy fried green tomatoes! Right after a recipe of fried food. Sure, why not?!? I am in week seven of Body Back and proud to say that I have attended every class (in various scheduling conflicts) except for one (due to the wedding). I have had health issues along the way and have had to cut the travel class, completing two circuit classes per week. I am happy to say that I am eating better (despite the fried green tomatoes) by eating breakfast, lunch and dinner (most of the time) with two snacks per day. I am also drinking tons of water. Bikini ready for the July Keys trip? Not quite, but I'm definitely getting there! P.S. 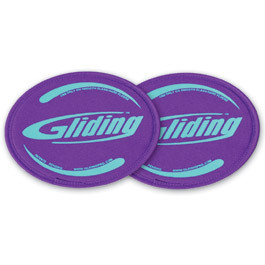 - I really like this gliding disk things. Though I just used these in our class today. So, tomorrow, I may be cursing them. That's all for now! Happy Tuesday y'all! Mmmm... fried stuffff. I love friend pickles, tomatoes, and zucchini. Well, I guess I like lots of fried goodness! I LOVE fried green tomatoes, now I will have to try and make them!!! Ouch! I have never been a fan of those either...one mom just donated hers to our 2 year old class at church, but we get them in the closet most of the time! Your fried green tomatoes look SO delicious!!! Man, I want to eat one right now! Ouch! I can't believe that got stuck in her hair! Those fried green tomatoes look delicious--YUM! They're one of my favorites! Who knew discs could work you so much, haha? 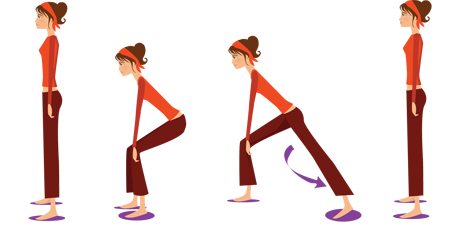 I've used them in HABIT, one of my fav classes at the UVA gym! And oh no..that hair-ZhuZhu pet looks like a catastrophe! When I was little the cabbage patch kids were out that "ate" food-- there mouths moved and you put it in/it fell into a backpack! Well, I had one, and I remember my mom being paranoid my hair would get stuck because stories were all over the news about it happening to kids! Poor girl! Thanks for the heads up on those toys. I've got to make fried green tomatoes after seeing yours, or at least go out to eat some. YUM! We have a restaurant called The Dish right around the corner that makes the best ones! oh my the zhu zhu pets thing. Glad the body back thing is working out. You will see the changes before you know it. And there is plenty of time before the July trip. I feel so badly for baby girl! Those little critters are NOT to be trusted! I quickly scrolled past those maters. My hubby would have a fit! He LOVES them! Woooooo Hooooo to you lady! 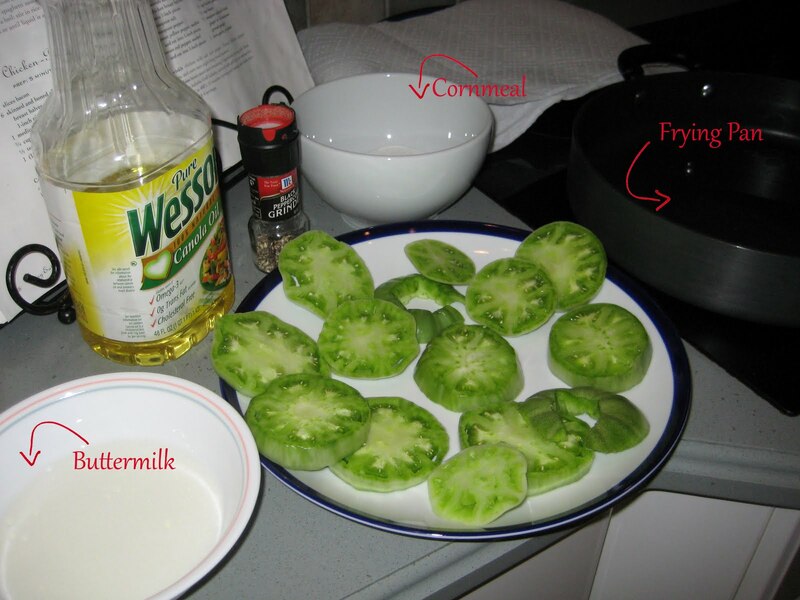 I need to try these fried green tomatoes!! YUM! OUCH ~ poor sweet girl! Can you believe I've never had a fried green tomatoe? Good for you for sticking with it. along with gum! Those glide disks just looks like a major pulled ligament for me so it's best I leave that adventure to you :) good luck! Oh, poor Lallie. That looks so painful. That poor little one! I hope shes okay now. And how delish are fried green tomatoes? I always get myself in trouble making these because you can never make enough! Then your poor tomato plants are fruitless. Fried green tomatoes are one of my favorite things to eat! I can hardly wait for my tomatoes to get big enough so I can pick a few and make some. Speaking of gardening, I am envious of all your plants and skills! Everything looks wonderful! Super cute Elizabeth McKay dress!